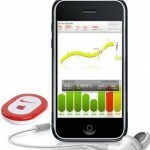 This product comes with a device from Nike that sticks to his running shoe. It communicates with the runner’s iPod, giving them audio cues and taking down data along the lines of how fast and how far they are running. He can sync up when he gets home and keep track of his running in a log on his computer. Pretty neat. I got it at my local Apple store. You can find it at your local store or buy it at Apple online. And be sure to check out which one you need – there’s one for $19 for newer iPhone and iTouch devices, some of the older ones will need the $29 version that comes with an add-on widget for the iPod. $19 or $29 at the Apple Store. I became a big fan of e.l.f. Cosmetics last summer after attending a cocktail hour they hosted at BlogHer, a women’s blogging conference. In short: their make-up is cheap and it’s awesome. I’m no make-up expert but what I’ve tried, for the cost, is great product. My favorite is the Mineral Booster, but I also use the Mineral Blush and several of the eyeshadows. Guys – this is a great one for her stocking this year. Troll the web for coupon codes because they often have sales, but even not, how can you argue with $3 eyeshadow and $1 lipsstick? Right now they have a coupon code to receive a free mini-make up kit, use coupon code LOYAL to do so. So I got these Glow in the Dark Stars in-store at the mall for my kids for their stockings, and now see that they are 80% off on Amazon! I’m too lazy to return them but you guys can take advantage. They stick to the ceiling and I just know my kids will get a kick out of having these to look at. They’re normally $19.99 marked down 80% to $3.99 on Amazon and ship for free. I love this Christmas version GoFish from Alphabet Alley that you can buy on Mom4Life. Use the special Mommies with Style link to get an automatic 8% off your order and then search on “Go Fish” and it will come up. It’s $5.51 by the discount. But hurry – you have to order by December 16th to ensure delivery for Christmas. Thanks for mentioning our Go Fish cards Whitney:)! You totally sucked me into the Nike+iPod gizmo. I know my hubby will love it! How about stocking stuffers for me who talk on the phone?? Get your man a prepaid cell phone from WalMart. TracFone is basically giving away cell phones. About $25 for each phone and all you have to pay after that is $45 for unlimited talk and text a month. Unlimited data is also included in that price. Love it! Super cheap and great phones. Howdy I found this webpage by chance, I was browsing Google for sites to see on Oahu when I came upon your site, I must say your site is really cool I just love the theme, its amazing!. I don’t have the time right now to entirely read through your site but I have bookmarked it and also subscribed for your RSS feeds. I will be back in a day or two. Thanks for a excellent webpage.